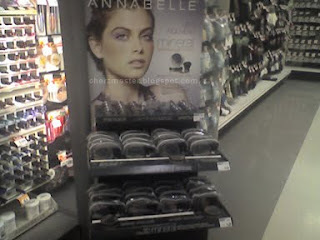 Annabelle Cosmetics (www.annabellecosmetics.com) has launched a Mineral line. 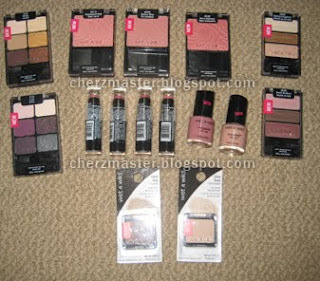 I have yet to test these products, but I spotted these items at a local Shoppers Drug Mart and Walmart. 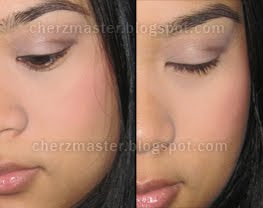 But for now I will post my initial thoughts using some of the products for the 1st time today. These will be in parts. I made the mistake but brushing my blush brush more than once (thinking I will have to build to get the true colour) - boy was I wrong. I ended up having rosy-clown cheeks. HA HA! Evening results: my cheeks were still rosy, slight fading!! Finally! 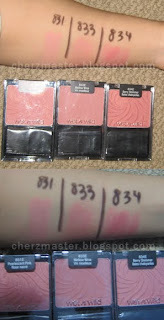 Since mid January I've been reading reviews about how Wet N Wild has changed most of the products/packaging. Well if you're in the Toronto area you're in luck! 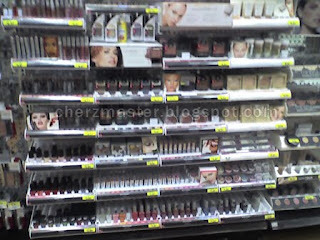 As for me, I made a quick stop to Dufferin Mall location and spotted the new Wet N Wild display. The time I went the cosmetic department was stocking up their makeup shelves for different brands (so I don't know if NYC was part of their boxes). Here's a quick pic I took. Sorry for the quality. The prices are not bad, very affordable. I will do a review on items when I get a chance. A few days ago, I dropped by one of my favourite stores, the thrift store; with no plan of purchasing anything. Lately, I've been clearing out my closet (with stuff to donate) and reorganizing my room. As I walked down the asle I found the following purse. I was pretty shocked how brand new it looked. No scuffs, torn edges etc.. So of course I purchased it. 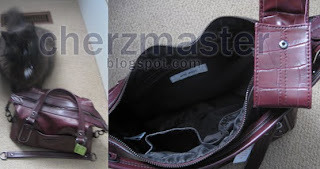 I did my online research this bag originally costs $60-80, I got it for... $13! LOL Kitty wanted to get in my photos aka jump in my purse. 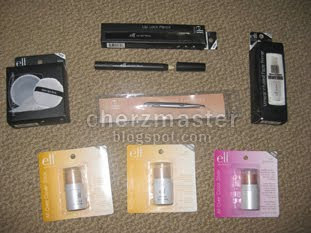 Also, I received my ELF order that Megan had helped me purchase/send it across. Thank you Megan!! I will be doing a review on the items soon (Studio Lip Lock, Studio HD Powder, Studio Mineral Face Primer). So a few weeks ago I was with someone who was purchasing a rather expensive 'glass file'. Til that day I had never heard of or used such a thing. Really, glass? So after their praise that such a product can change your usage of nail filers, and throwing out emery boards... made me want to try this out myself. 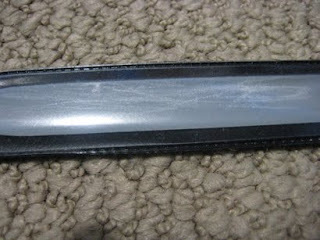 Ironically, I had broken nails during the day and left my emergency nail file in my other purse. So I went searching for a cheaper alternative (I love looking for cheaper items lol). Behold I found a local drugstore selling it. It was on sale (20%off) so a little under $5. Would this glass break in my bag? I didn't have to do as many stroaks as I would on a regualar nail file. 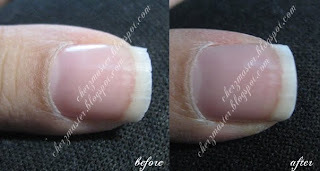 Usually with a regular nail file I'd also end up having uneven, ridges under my nail. BOOO! But this none of that at all. The only down side (if you're sensitive to 'touch'), if you move it the wrong way (ie. back) it feels like you're dragging your nails on a chalk board.